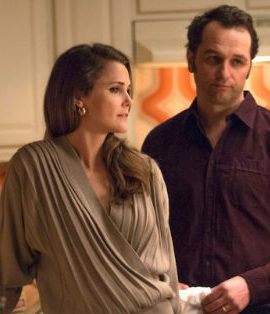 In the first five seasons of The Americans, Philip and Elizabeth Jennings (Matthew Rhys and Keri Russell) have faced a number of adversaries. The married Russian spies have been a steady team since the beginning, facing off against diplomats, government leaders and any people that stood in their way. During that tenure though. there’s been a growing tension between them. Now, in the show’s final season, that tension has grown into something more. The well-adjusted Philip has now grown accustomed to the American lifestyle. He grew up in poverty in Russia and has slowly ingratiated himself in in this capitalistic economy. Elizabeth, who also grew up poor, remains a true believer in the Russian government. In the season 5 finale, Philip walked away from his duties as a Russian spy and embraced his day job at a travel agency. The spy work was getting to him but now he’s free to pursue the American dream. Elizabeth continues her clandestine career unabated while training her naive daughter Paige (Holly Taylor) as a new recruit. In the new season (which takes place several years after the previous one), Philip is focused on his business while Elizabeth is focused on an upcoming summit between Russian leaders and the Reagan administration. That summit could change the relationship between the two countries dramatically so her work feels more urgent than ever. There’s a distrust building between these characters — who are used to hiding their emotions and their true identities — and it’s the quieter moments between them that really capture this fractured relationship. With the show’s focus on the summit, there’s an air of urgency to this final season. The summit could change American-Russian relationships forever so there’s an added intensity here as the program focuses on missions directly related to this upcoming event. There are no big shoot-outs here. 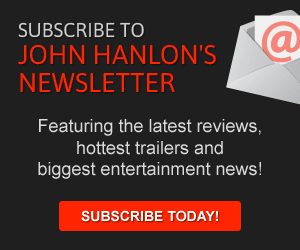 The show has always focused on covert missions and this season has offered plenty of intense moments. The show’s supporting cast is terrific with Paige taking on a greater role here and Margo Martindale doing tremendous work (as usual) but it’s Keri Russell who is really stealing the spotlight in the final season. With her character’s growing isolation from her husband to the mounting intensity of her position to her growing penchant for violence, Elizabeth has become the focal point of the series. She’s the one who has to take on dangerous missions while trying to prepare her daughter for the future. While Philip is hoping for a better future, she’s the one longing for things to remain the same. As the show reaches its final episodes, this FX drama seems to be setting the stage for a powerful conclusion that finds this couple finally coming undone.